Enjoy the tranquility of seeing clients and working in a designated healing arts center. Centrally located in West Ashley on St Andrews Blvd close to the James Island Connector. Unique office space for rent in central West Ashley location on 61 (St Andrews Blvd) close to downtown and James Island connector. We have 5 rooms available for monthly rental. We are seeking healing arts professionals/therapists/practitioners etc interested in office space for rent on a monthly basis (not considering short term rentals at this time). Great space to meet clients, conduct counseling or healing sessions. Quiet atmosphere. Clean and recently remodeled. Beautiful hardwood floors. Not your typical ‘office park’ environment. We’re looking for responsible people who create a mellow, productive energetic atmosphere. We provide internet service, access to full kitchen, 2 unisex restrooms, all utilities paid. Building has reception/waiting area but no staff, just a place for clients to wait. Parking in the back (first come basis) and lots of free street parking. Move-in requires first month, last month and security deposit. 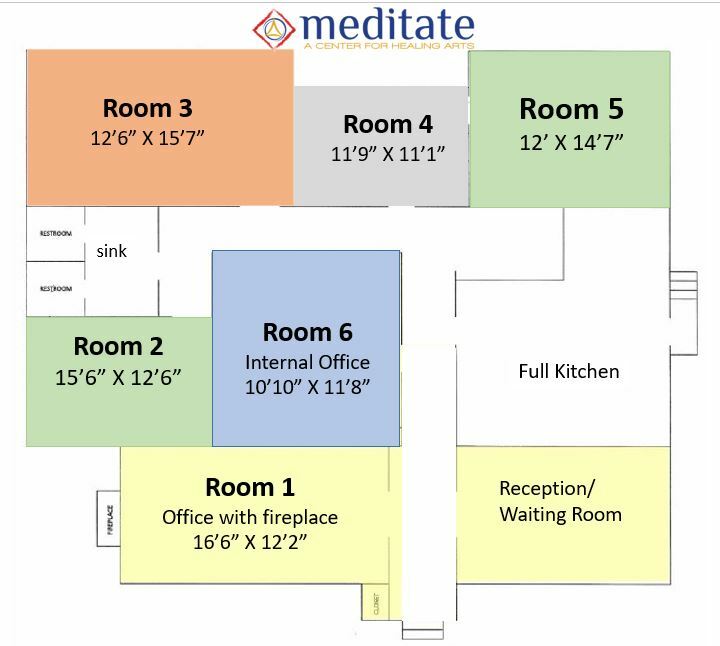 Please email Andrew andrew@meditatecenter.com to discuss what is currently available or complete inquiry form below.